Widow furious that husband's tombstone will merely read 'fell in a terror attack', despite fighting bare handed against the terrorists. Yael Weissman, the widow of Tuvia Yanai Weissman who was murdered in a stabbing attack at a Rami Levi supermarket last month, expressed frustration regarding the struggle over the inscription on her husband's gravestone at Mount Herzl. Yael posted on her Facebook page that the Ministry of Defense refuses to write "killed in battle" on the tombstone and are instead writing, "fell in a terrorist attack." "The inscription that will appear on your tombstone will be 'fell in a terrorist attack'. Just like that, you merely fell," wrote Weissman in a message to her late husband. "But who decided? Why was it decided? Under whose authority? Yet nobody can answer me. I was never asked by anybody. I was there by your side seconds before you ran to save the lives of others," the widow wrote. "If that was not a combat fight then what is?" asked Yael, "Somehow you can fight a terrorists with your bare hands, but if it is during shopping and you do not wear your uniform, it is not defined as 'battle'." 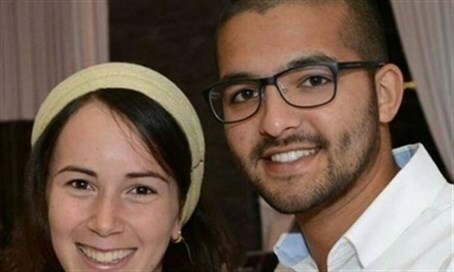 The Defense Ministry said in response that it "Participates in the heavy grief of the Weissman family. The memorial unit operates according to tombstone inscription regulations, and accommodates the circumstances based on the information obtained from various security agencies."